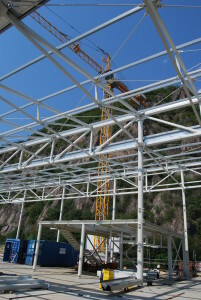 Work is almost completed at the construction site of the gigantic structure entrusted in partnership to the Bolzano Healthcare Agency and Haas srl. 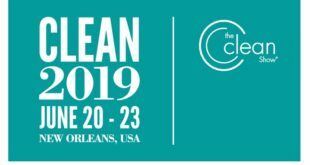 It will be fully operational by the end of 2016, and serve as model for a new relationship between public and private entities, with the common goal of serving the community. (sf) “Beautiful, big and useful, with an exquisitely new footprint, bound to become a model”. 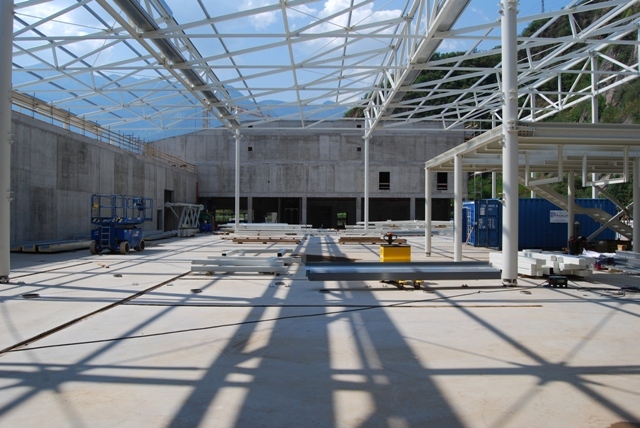 This is how Renato Martinolli, Procurement Office Manager of the Alto Adige Health Care Agency defines the magnificent and impressive facility about to be completed in Vadena, province of Bolzano, an energy-saving, transparent and centralizing project. 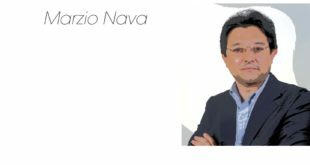 He is talking about the new industrial laundry that will be managed by the Bolzano Healthcare Agency in close collaboration with Haas srl starting next year. “A hard-won yet deserved happy ending to a story that started in 2007, when the four local healthcare units in Bolzano were combined into one – Martinolli recalls – That was when we started along the path by which, after thorough planning and European calls for tender, the four laundry facilities that had served the Health Care Agency till then were combined into one”. 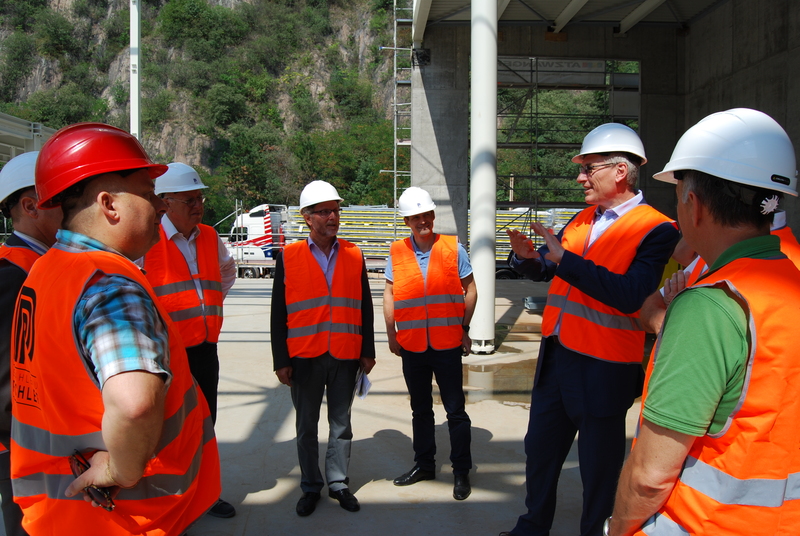 When Thomas Schael, general director of the Healthcare Agency of South Tyrol, visited the facility construction site, he found the work was progressing at a very fast pace, and the building would be completely finished sometime between December 2015 and January 2016. 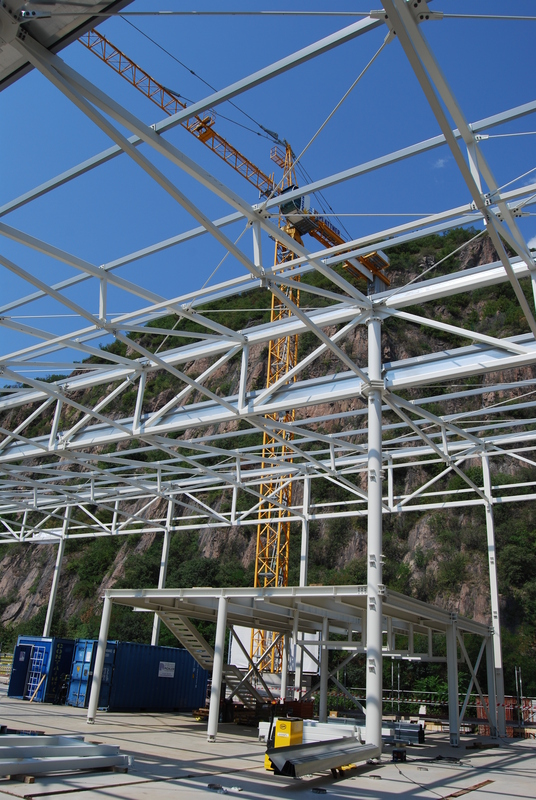 Fifteen local companies worked on the massive 50 thousand cubic meters construction project at the same time. 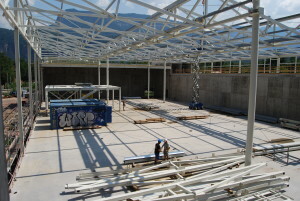 The Stahlbau Pichler construction company in Bolzano was awarded the general contract for the project. Markus and Christian Haas, owners of the company that won the European tender, guided the healthcare agency general management body on the inspection tour. The entire management team was highly satisfied. “The plans call for the facility to start operating in early 2016 – explains general director Schael – but we can already see that this is a modern company, equipped to face the future. By taking this step we are also setting a cornerstone for the entire administration sector, and as of next year already we will stand witness to the unification of a fundamental sector that affects the entire healthcare agency”. The architecture of the building in itself already embodies the philosophy of the new industrial laundry: “The entire north-facing wall is a huge glass window. We sell purity and therefore transparency is very important. We have nothing to hide and, besides energy efficiency, eco-friendliness and techniques that meet the latest construction standards, we are careful to abide by the EU guidelines on the matter of hygiene and safety” affirms Christian Haas of Haas S.r.l..
For our collaborators this means a having a modern and attractive workplace. “Dilapidated” laundries are certainly a thing of the past now. We will create around 100 jobs, and assign half of these to employees of the Healthcare Agency. Proper consideration was also given to accessibility and infrastructural development, as proven by Markus and Christian Haas’ meetings with the president of the local district and mayors of adjacent municipalities. The plan also includes an agreement with the city bus transport service, and verification of existing bus stops, sidewalks and bike lanes. 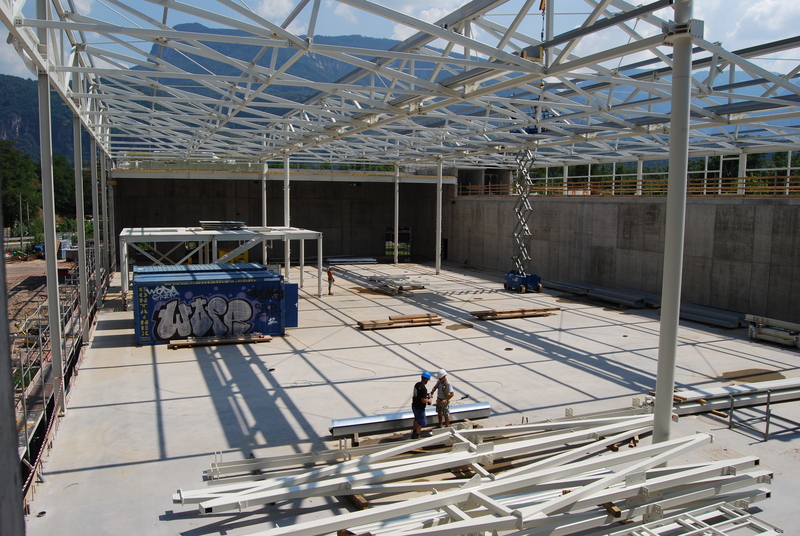 Once fully operational – expectedly by the end of 2016 – the new industrial laundry will process laundry from seven hospitals, two residential structures and a few communities under the patronage of the South Tyrol Healthcare Agency. It will become a driving force for the local economy and job market – underline those in charge – and to that effect, the opportunity for its potential expansion is already being considered by the coordinating entity. 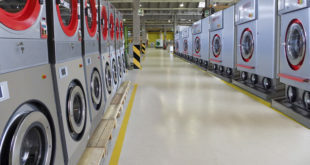 Estimates indicate that starting next year, and solely for the South Tyrol Healthcare Agency, 16 tons of laundry will be washed, dried, ironed and packaged at that facility. “The goal is to have so-called full-service company – Markus and Christian Haas explain – our job goes beyond managing the industrial laundry itself, as it also requires managing transport logistics and warehousing for all facilities. In other words, we make sure that clean laundry is available to every patient and employee of South Tyrol hospitals whenever they need it. The project is yet another “Public-Private-Partnership” (abbreviated “PPP”). The laundry is built by a privately owned company (Haas S.r.l./Ora), but will be used for 30 years by a government agency, in this case the South Tyrol Healthcare Agency. The South Tyrol Healthcare Agency holds 51% of the PPP shares, while the rest is owned by Haas. 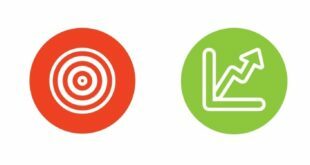 Hence the South Tyrol Healthcare Agency can save substantial amounts of money, and afford to hire an independent company to manage the service without entirely outsourcing it.